Our homes are changing with more and more connected and networked devices putting pressure on existing domestic electrical systems. 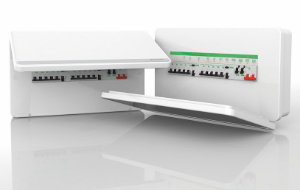 Deepak Sharad, from Schneider Electric, reflects on how effective circuit protection is more important than it has ever been before. The rise of the Internet of Things (IoT) promises a brave new world of connected devices in homes and ultimately better living. Cisco predicts that the number of connected devices is expected to exceed 50 billion by 2020. With homes and businesses being disrupted by the technological evolution, we have an increasing number of electrical appliances filling our homes and lives. Thus, it has become all too easy to take electricity for granted while also forgetting how dangerous it can potentially be. While our homes may be constantly changing, the role and responsibilities of the electrician have remained the same; to ensure a competent, electrically safe and compliant installation. Government statistics indicate that every year around 70 deaths and 350,000 injuries in UK homes are caused by faulty electrics and electrical equipment. Almost half of all domestic fires are caused by electricity. While the exact cause of these incidents may not always be known in many occasions, for some homeowners it can be a simple lack of awareness or complacency around the dangers of electricity. For today’s electricians, this is a key consideration when visiting homeowners. Simple checks around sockets to ensure they aren’t being overloaded, as well as highlighting the use of appliances in the bathroom or outside can help to dramatically improve safety in the home. 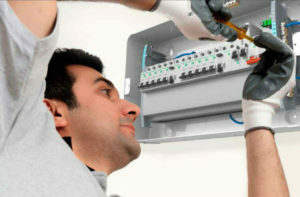 A further factor to consider is the increased need for installer efficiencies. Electricians are under a huge amount of pressure to remain cost effective while meeting increasingly tight deadlines and therefore any way that a manufacturer can help support electricians on the job, is important. In response, the electrical market has seen an abundance of new and emerging products which are quick and easy to install, thereby reducing the cost of labour as well as the risk of complications to ensure the project is kept on track. Circuit protection is one example of this, where safety and long-lasting protection is paramount. To compliment the safe introduction of new products to the market there is new legislation, namely Amendment 3 of BS 7671, which sets the industry standard to which all domestic and industrial electrical wiring installations must conform. The changes brought about by Amendment 3 were proposed to increase safety in domestic premises by installing consumer units that are manufactured from non-combustible materials. As such, new products are being introduced to the market with metal enclosures and magnetic door closures, providing safety alongside a consistent design. Considering the recent update in regulations, there has been a surge in demand for compliant consumer units. There are over twenty million domestic dwellings in the UK and each has an electrical installation, with electricity meter and consumer unit arrangements supplying the lighting and power in the dwelling. The regulatory changes have impacted how products are specified and installed. Circuit protection ranges are being designed and built to combine design flexibility, ease of installation and regulatory compliance, all on the foundations of market-leading platforms. As an industry, we recognise the necessity of such regulations; they give us guidance as a business but also provide protection for us as individuals going about our daily lives. The fact that circuit protection products and wiring systems are installed into all kinds of environments means that the correct finish to a system has become more important than ever. Whilst cost is always a factor it should not be the main reason for the type or finish of the system being installed. Consideration should also be given to the future use of the space. With this in mind, there is greater pressure on the industry to deliver fully compliant products with superior safety credentials, while also improving the installation experience. As smart technology in our homes and businesses continues to rise, there is increasing pressure on our energy supplies and our networks both at home and at work. Circuit protection is therefore vital, ensuring protection against short circuits, overloads and electric shocks and therefore providing people with the peace of mind that they and their gadgets are completely protected. The electrician has an incredibly important role to play in the electrical safety of our homes and businesses. It is crucial that manufacturers continue to work with installers, ensuring products are designed with them in mind as well as the end user. In truth, a high-quality product and long lasting circuit protection is vital; while user friendly design, availability and affordability is what makes it saleable. Deepak Sharad is the Category Marketing Manager for residential at Schneider Electric.